Each month I have a number of projects that I create for design team requirements. I LOVE what I do and I have so much fun working on the design teams that I do work for. Bella Blvd's products are amongst my favorite to work with. I love their bright, fun, happy designs. 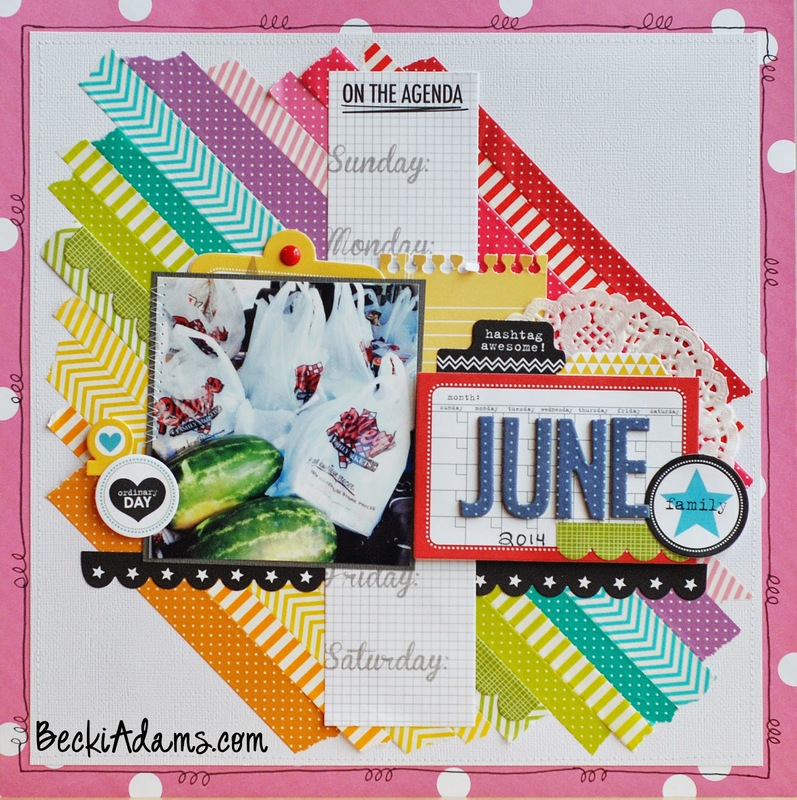 Recently I was asked to create a layout using their most recent products for their "what's new Wednesday" feature. I grabbed the Classic Calendars collection and got to work. I had so much fun creating! I finished my assignment, turned it in and then realized it had a mistake on it...not a huge messy mistake but it was a mistake and I had made the mistake using ink and liquid glue. 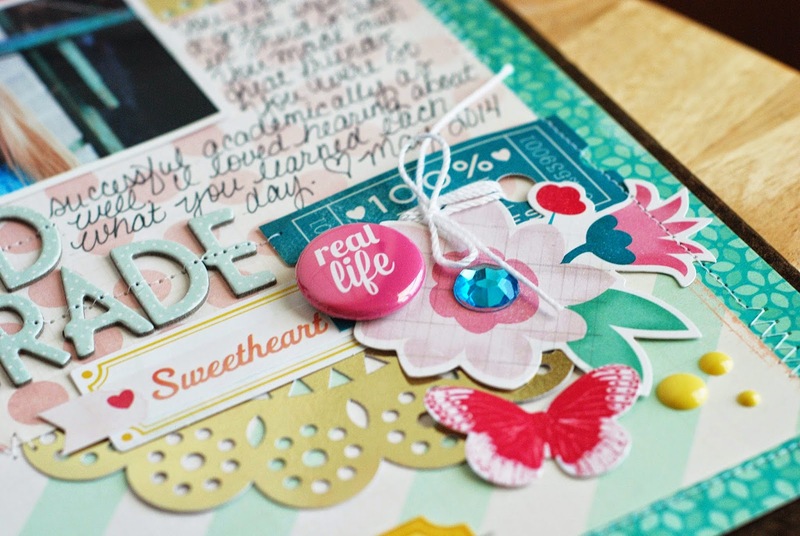 In scrapbookers terms that means, it's not a mistake that you can easily fix. It's pretty much stuck there unless you can cover it up. So, here's the finished layout. Can you find my mistake? See it now? Yes, I put two different months on the same project, June on the left hand side of the project and May on the right hand side of the project. The accurate date is May 23rd. 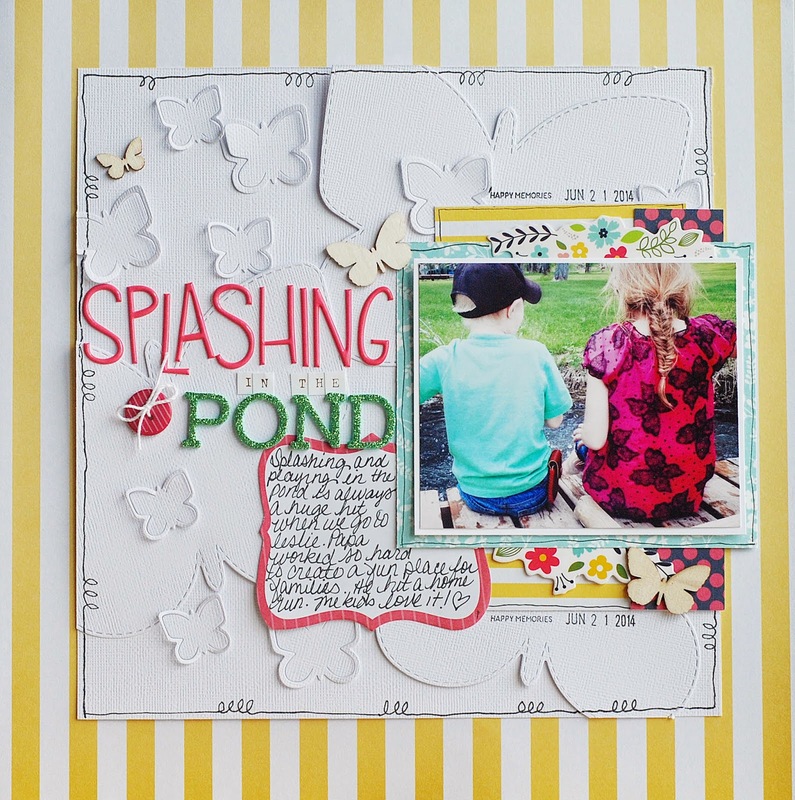 Originally I thought that the photo was taken in June so I put 'June' on the layout with ultra strong quick drying liquid adhesive. 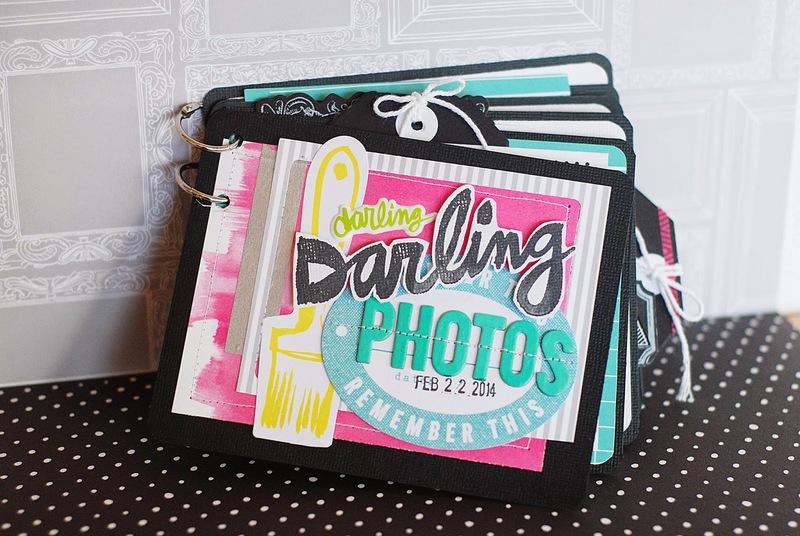 After I had finished the project I wanted to add the date with a date stamp so I looked on my phone to see which day I had actually taken the photo and quickly stamped it in the corner of my project. It wasn't until I saw it on the Bella Blvd blog that I realized I had messed up. There's not much I can do about it now. 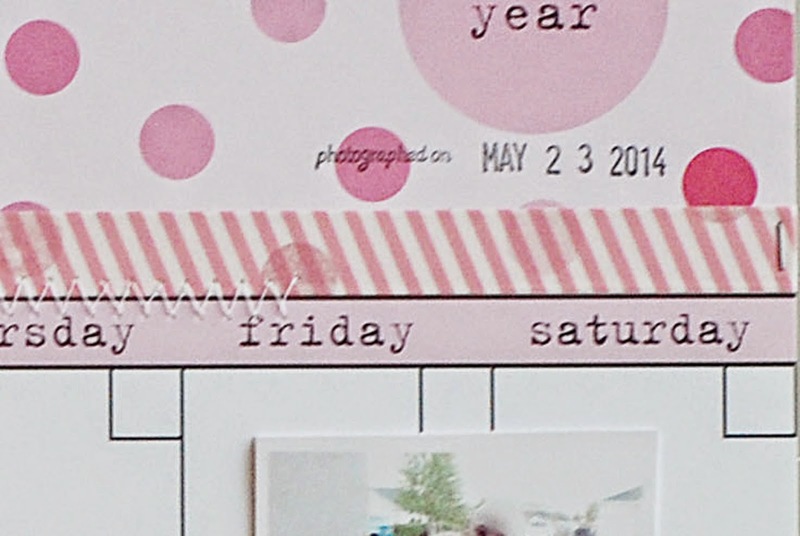 I tried to cover the date stamp with washi tape, rephotograph it, and have Bella Blvd update their blog but the washi tape didn't completely cover it so I just decided to leave it like it is. Some day maybe my kids will laugh about it make comments about how crazy their mom is. Have you made any mistakes on your projects and decided that it just wasn't worth the effort to fix it? Have you heard of Top Dog Dies? Honestly, until a couple of months ago, neither had I. After browsing their website I was so excited to start working with their products. 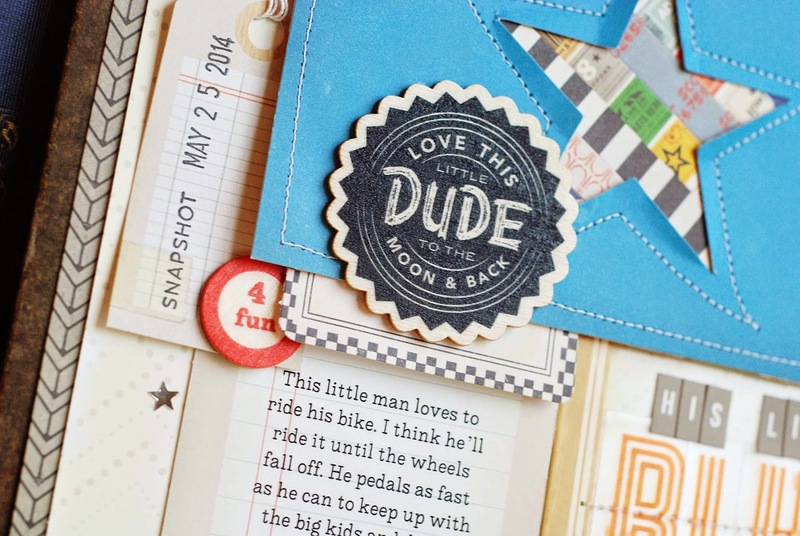 Top Dog Dies is a new online store that offers their own brand of wafer-thin and steel-rule dies, along with dies from brands you already know and trust, including Little B, Lawn Fawn, Taylored Expressions, Savvy Stamps and Cheery Lynn Designs. Top Dog Dies is also the leading U.S. retailer for Tattered Lace, a new line of intricate dies designed by British designer Stephanie Weightman. 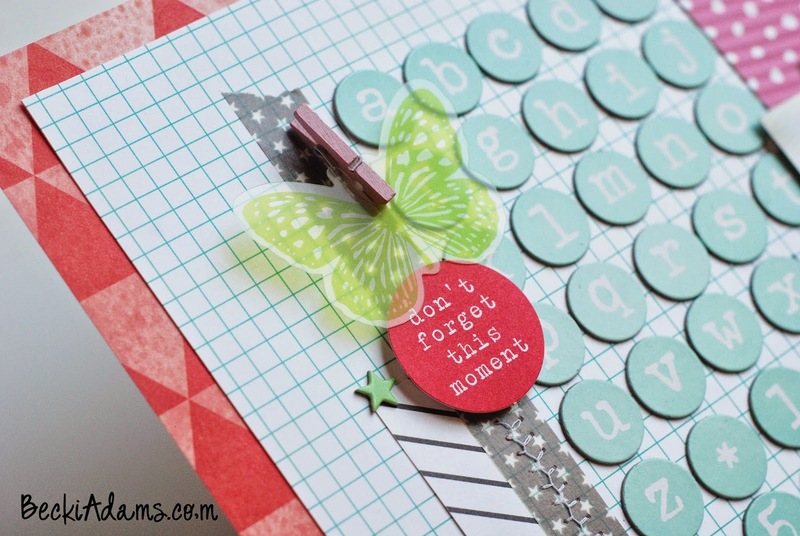 I also created a layout using all the butterfly shaped dies in this set. 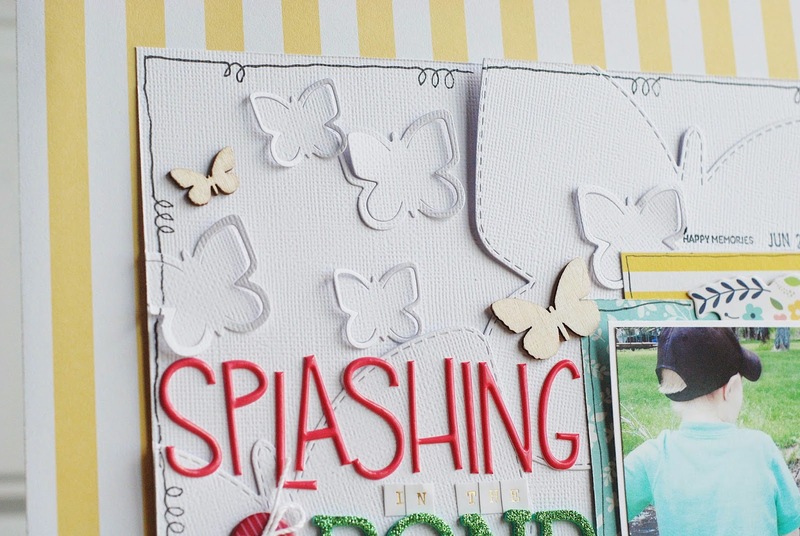 By cutting several butterflies from white cardstock and then adhering them to white cardstock I created a fun textured background. 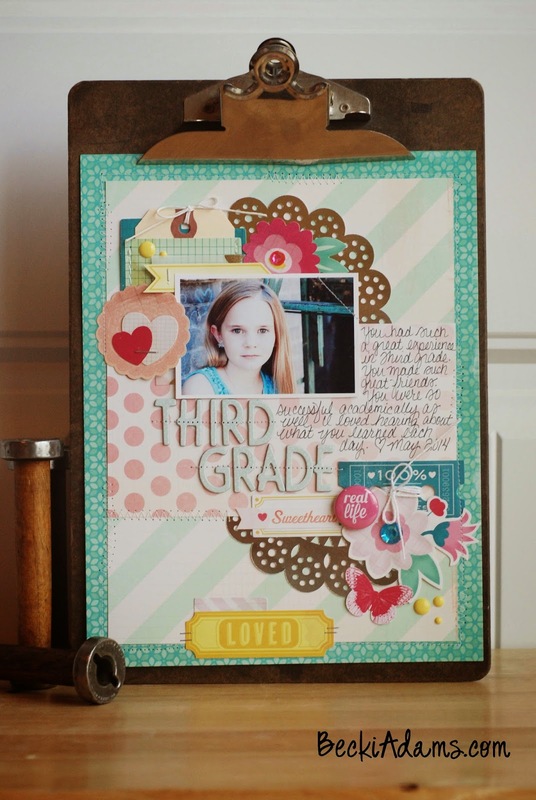 I used lots of fun elements from American Crafts and Imaginisce on this project as well. Don't you love the background? It makes the layout so much more interesting than if I had just used one plain piece of cardstock. Top Dog Dies is also doing a fun giveaway for you, as a reader of my blog. 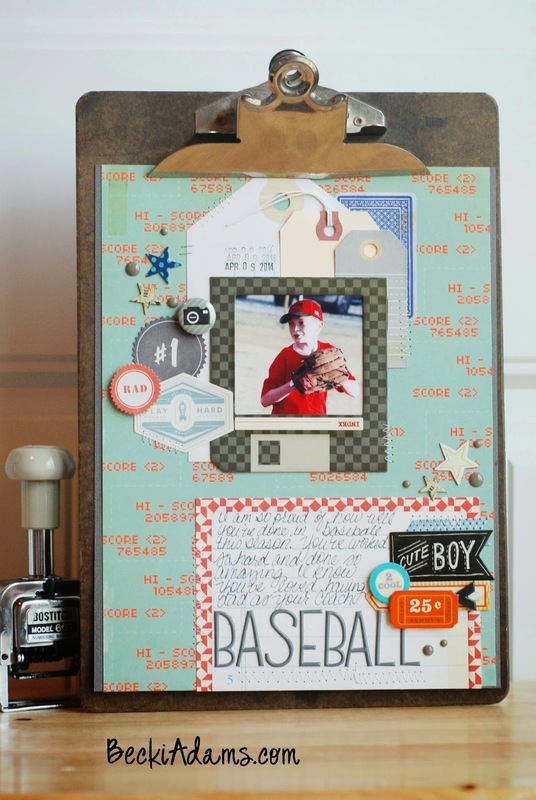 The winner will receive $50 worth of exclusive dies from Top Dog Dies (your choice!) You can enter that giveaway HERE The Deadline to enter will be Monday, June 30 at midnight Central Standard Time. Hurry, you're almost out of time! 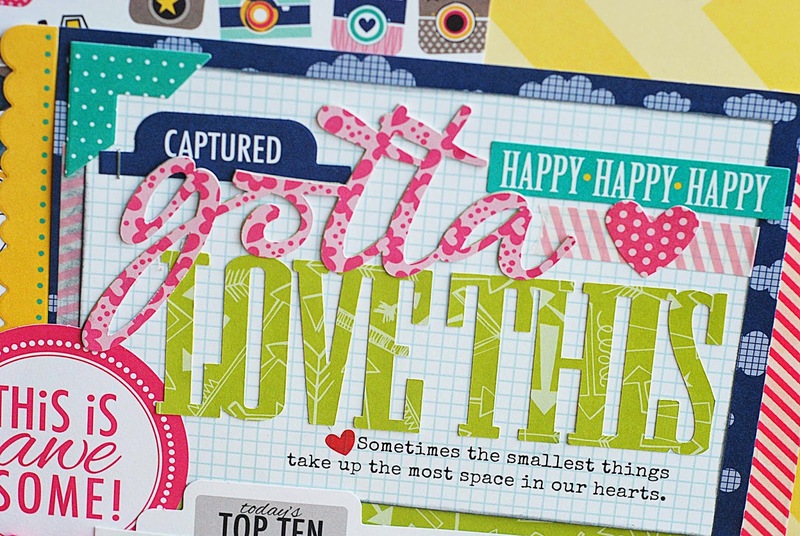 Use a script font (one that looks kind of like cursive handwriting) combined with a block font. One font must be thicker and bolder than the other one. I usually use the script font as the thinner font and the block font as the bolder one. Let me show you what I mean. This Turkey Dinner layout is a perfect example. 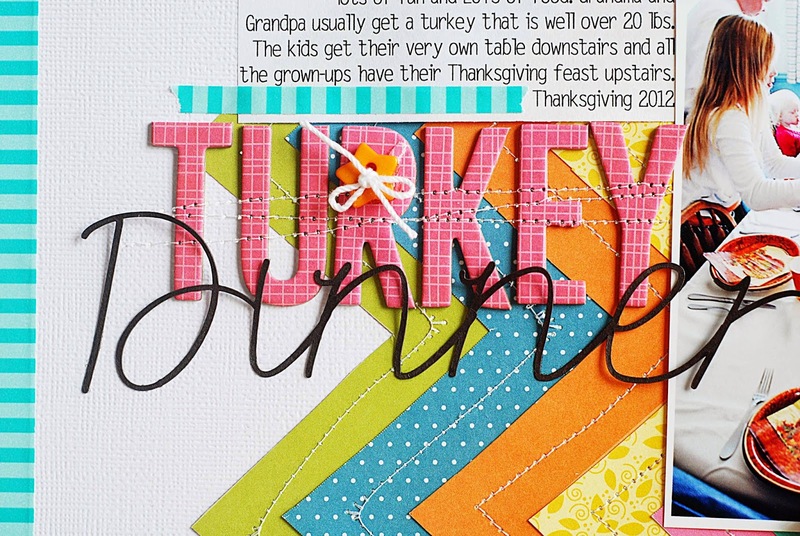 The "turkey" part of the title is created with a chipboard alphabet from Bella Blvd and the "dinner" portion of the title is cut from dark brown cardstock using my Silhouette Machine. 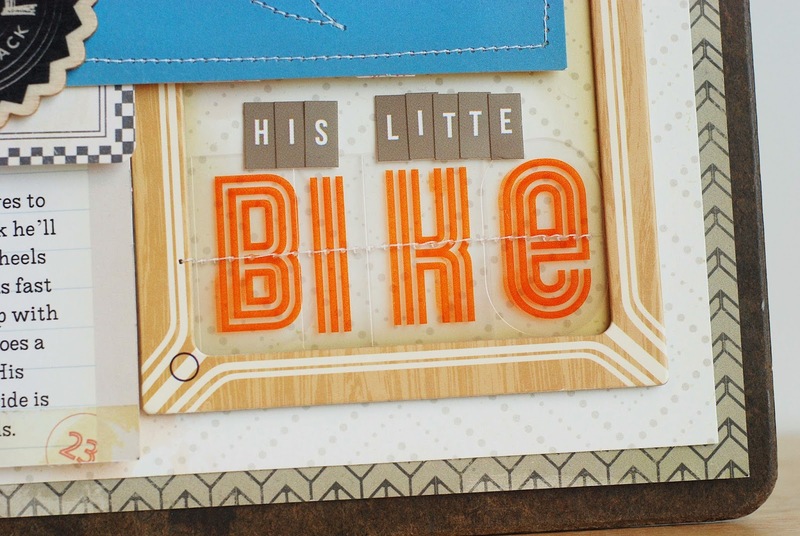 This diecut is from Kerri Bradford Studios. Notice that the "gotta" portion of the title is in script and the "love this" portion of the title is a block font. 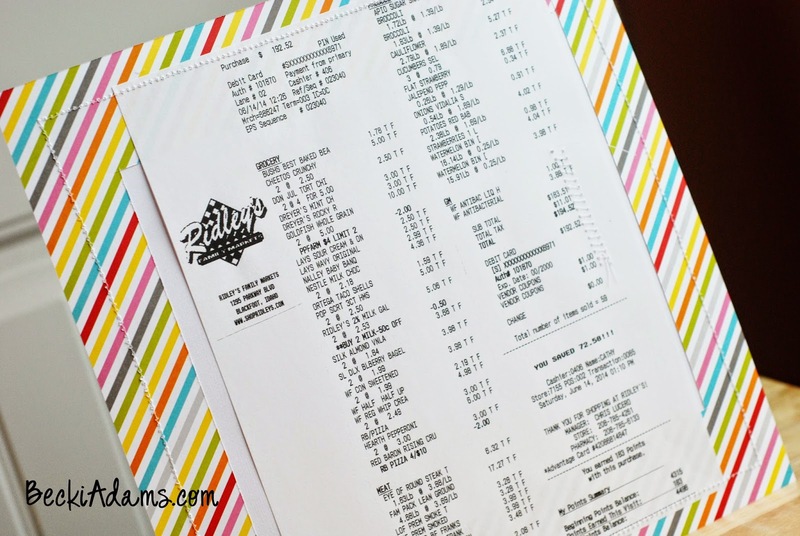 Do you have a secret (or not so secret) plan for combining fonts? I'd love to hear your method. Happy Monday to you! 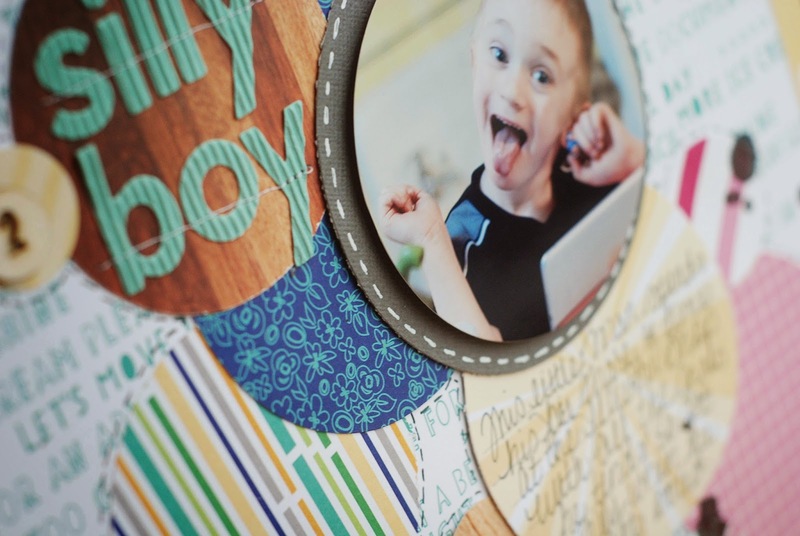 I'm so excited to show you the full reveal of the projects that I created for the Paper Crafter's Library. I've known for a few months that this feature was coming up and I spent a lot of time trying to decide what I would like to feature on their blog. I finally decided that I would like to share a set of layouts and a couple of different ways to display them. I love creating layouts to display in my home. 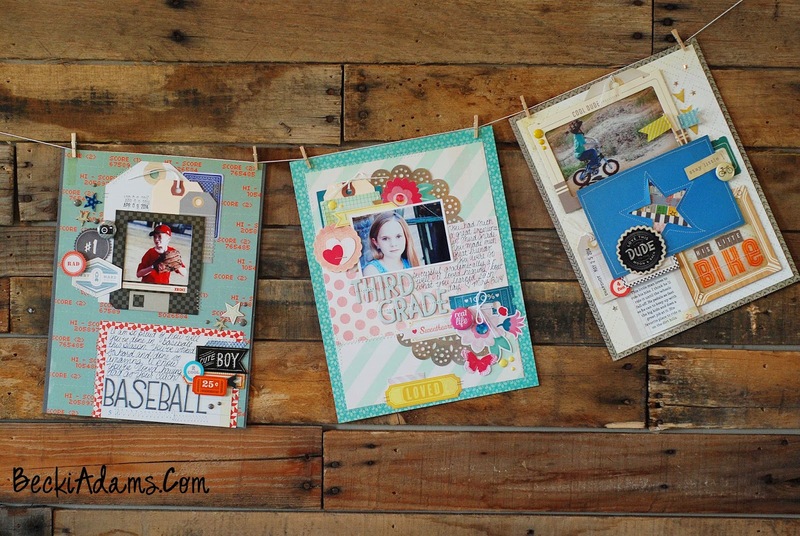 I created these three layouts of my kiddos to display in my living room. 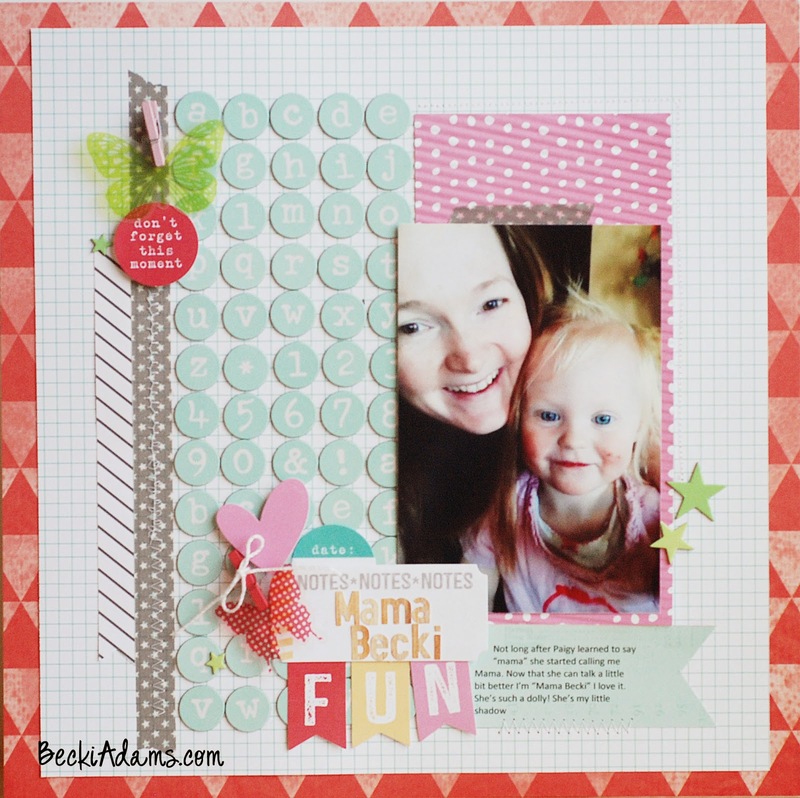 Displaying layouts in addition to or instead of framed photos is so much more personal. It not only tells the story of the photo but it also shows my passion for memory keeping and love for my hobby. The display doesn't have to be fancy, one way to display them just uses plain small clothes pins and a string. 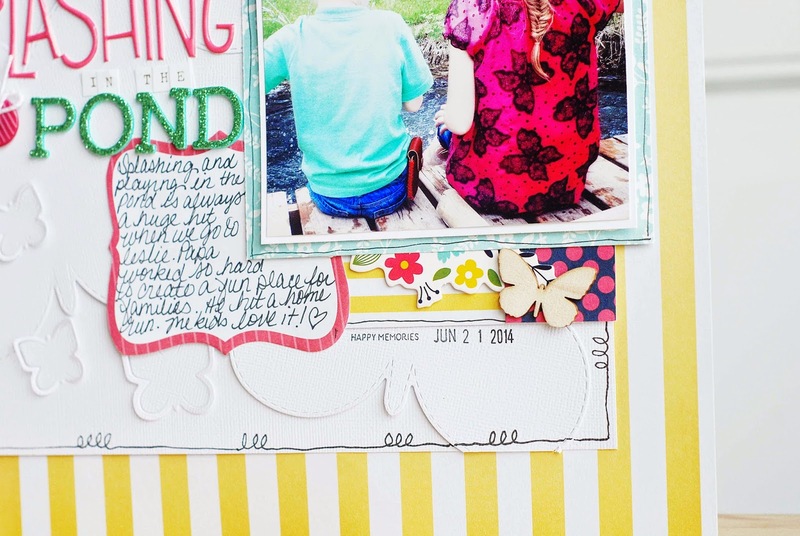 I love the idea of being able to switch layouts out as I create them. When I take these down I will replace them with newer projects. 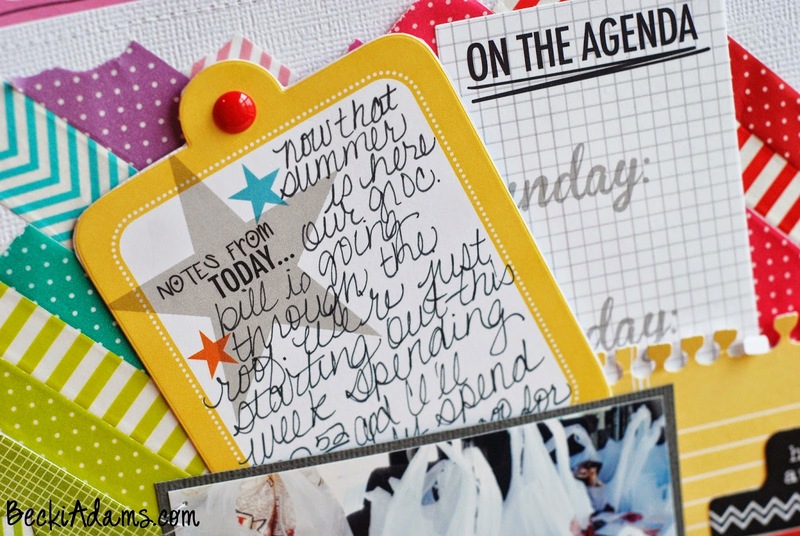 The second option is displaying them clipped to a clipboard with the clipboard either hanging on the wall or on an easel. This clipboard sits on an easel in my living room. I change out the projects that I display there often. 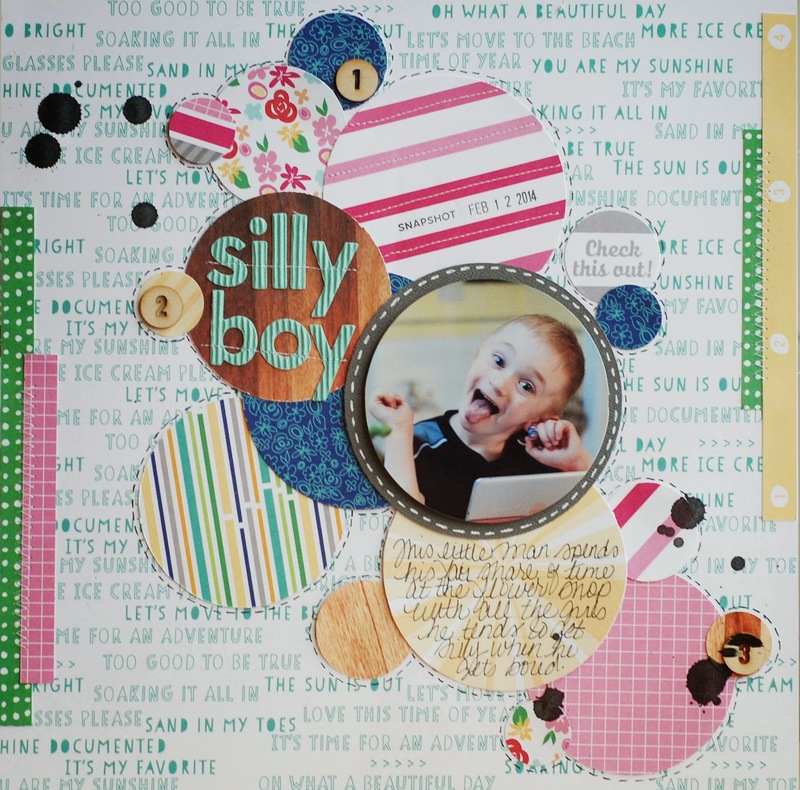 This sketch is based on a layout by Patricia Roebuck using Elle's Studio's new Shine collection. 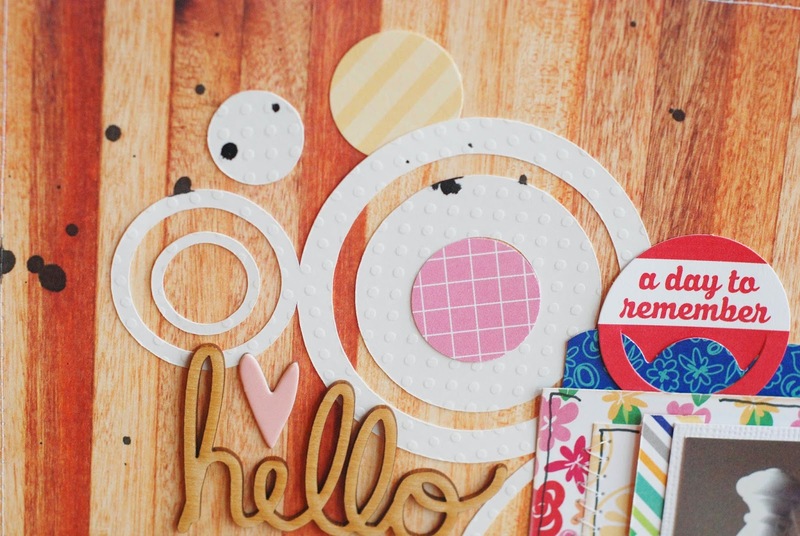 I LOVE how she used the circles and the die cuts. 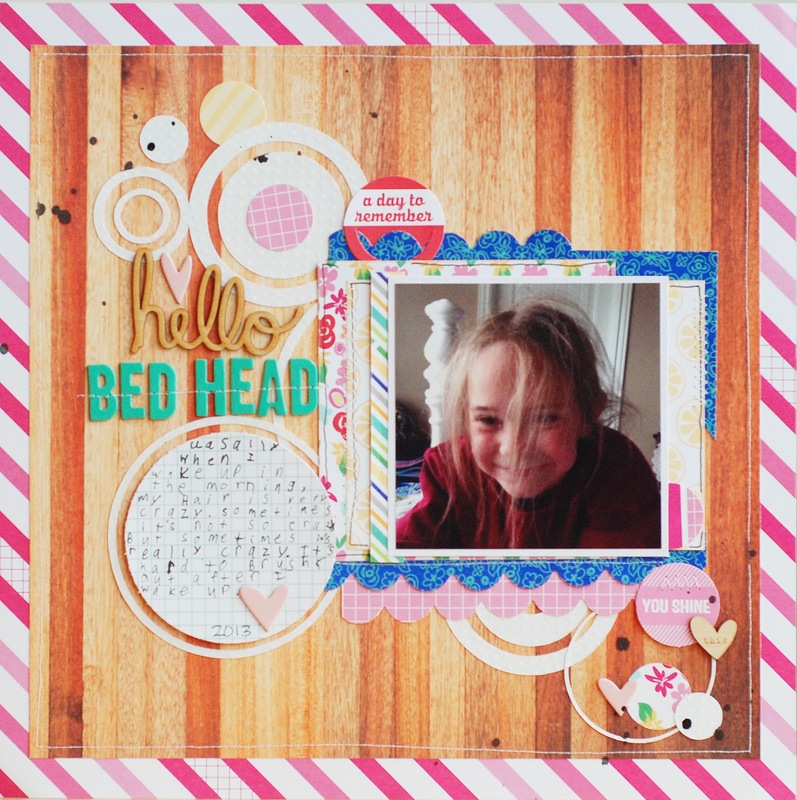 I created 2 layouts based on this sketch, it was so much fun and so easy to create with. Who doesn't smile at a sleepy kiddo who has a case of "bed head"? I love this little lady! I die cut this background with my silhouette. And here's the second one I created with the Shine collection too. Do you like creating with sketches? Even if you don't you should give this one a try, it's so simple. 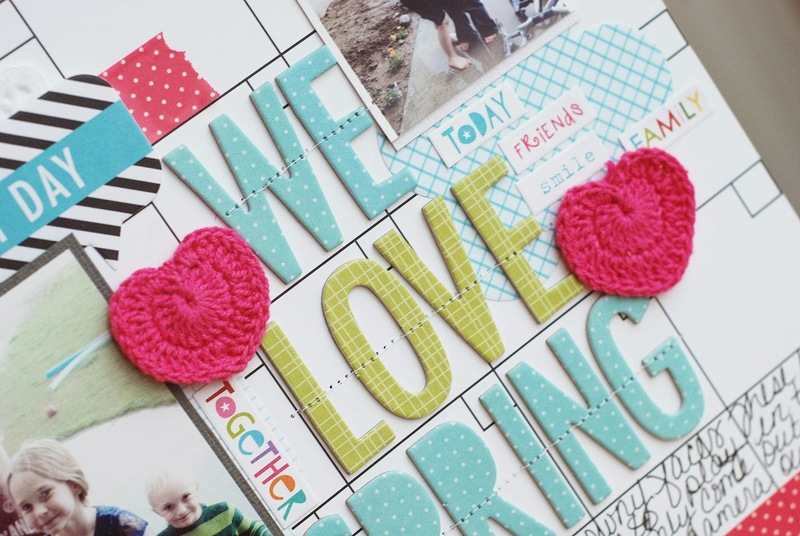 Maybe you'll discover that you love changing things up and creating in a different way. Make sure you stop by tomorrow for Let's Talk Tuesday! 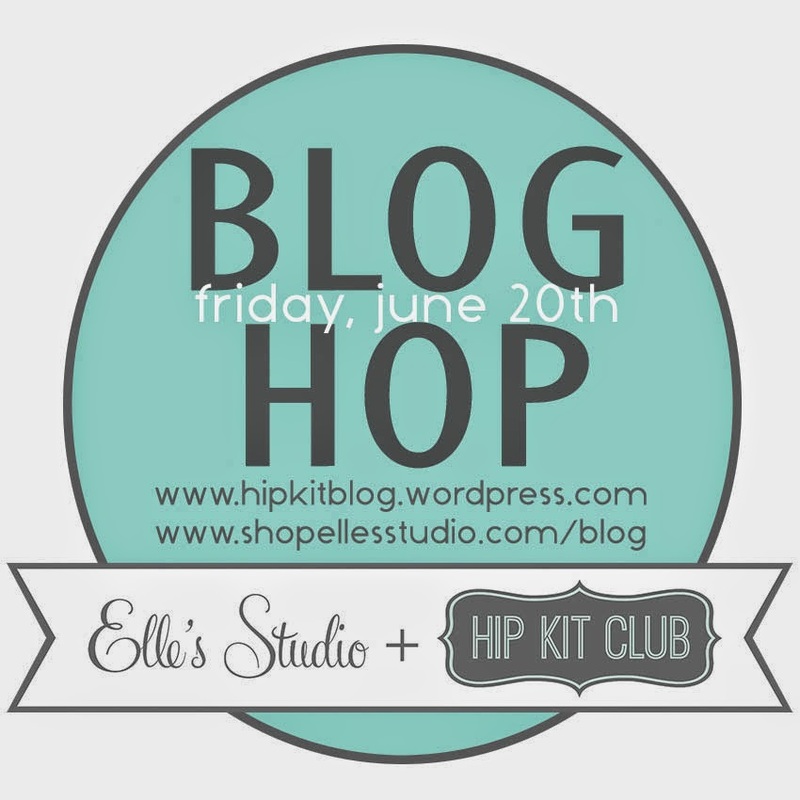 Welcome to the Elle's Studio/Hip Kit Club Blog Hop! You should have arrived here from Emily Wilbur's blog. 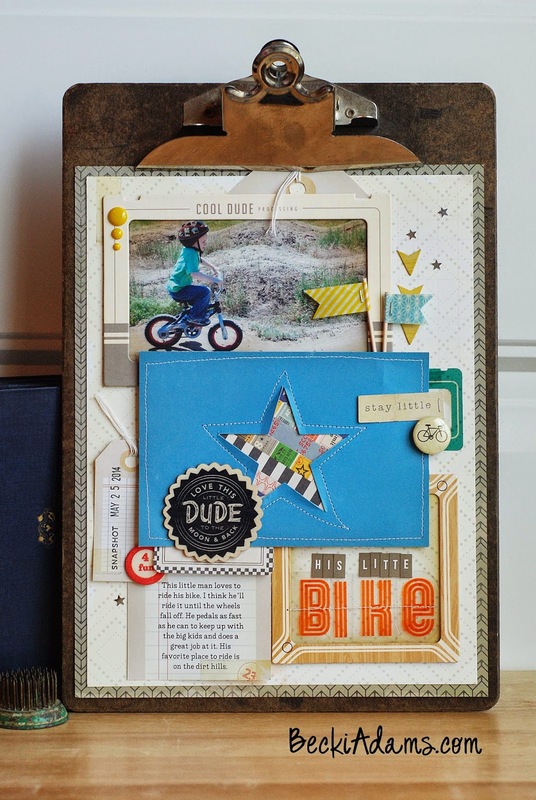 When I got the kit from the Hip Kit Club I was so excited to see so many fun elements in there. Isn't it an adorable kit!?!? 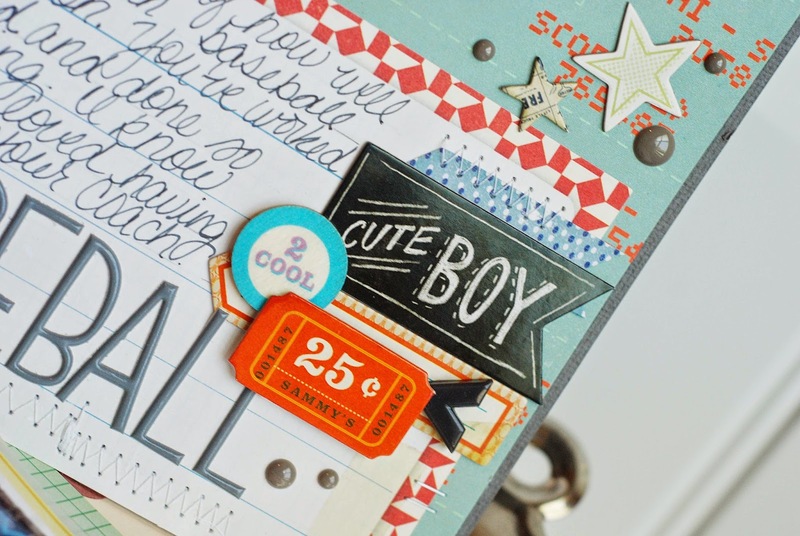 Recently I wrote a post about using ALL your letter stickers. I wanted to use this technique with this kit too. 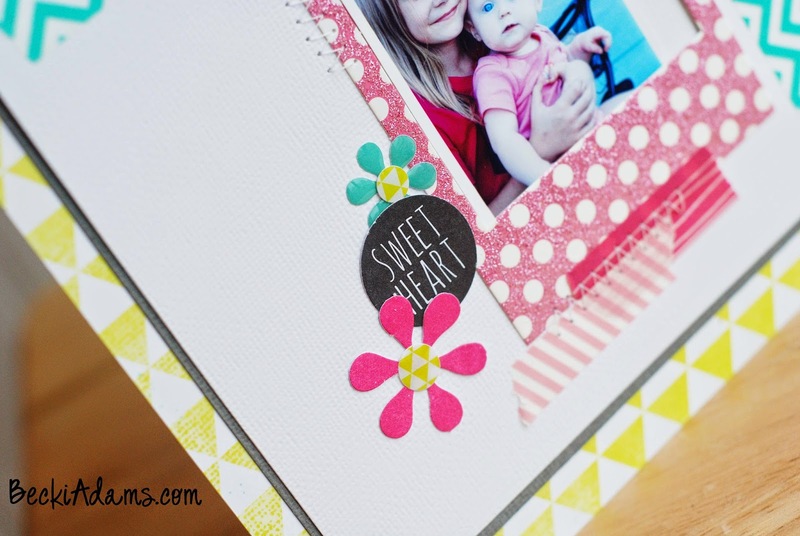 I used the Dear Lizzy letter stickers to create a large element on the left side of the page. 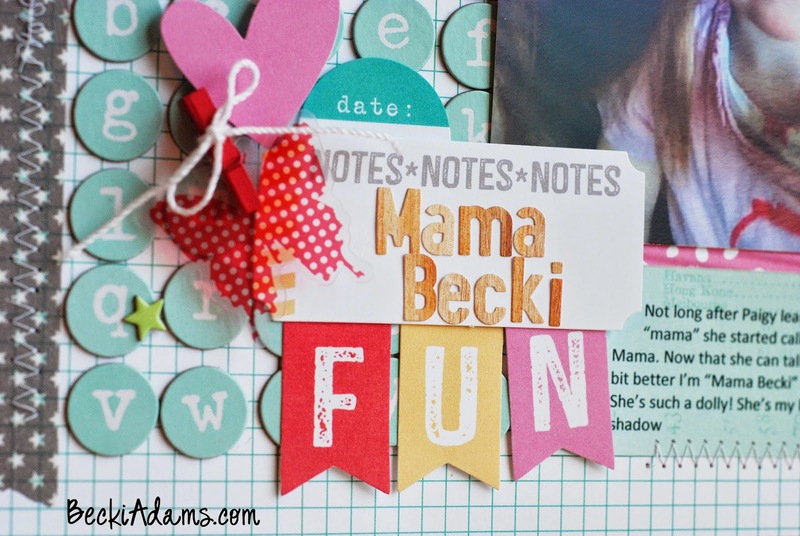 This project is titled "Mama Becki" it tells the story of my niece and how she calls me "Mama Becki"
Here's the entire list of stops on the blog hop today, just in case you get lost along the way. Make sure you subscribe to my blog by entering your email in the box to the right and "like" my Facebook page so that you won't miss any updates. I recently launched a new series called "Let's Talk Tuesday" I send out updates for this series through my subscriber list. Have you had any A-HA! 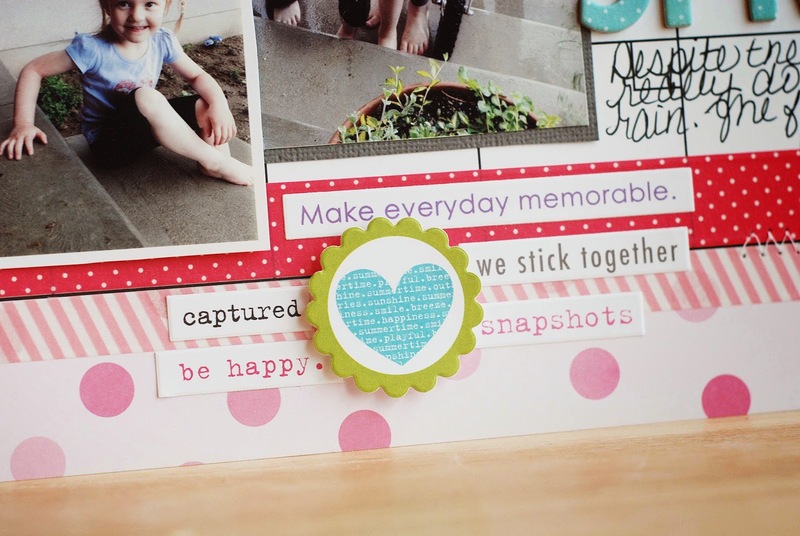 moments in scrapbooking lately? & Have you discovered any new techniques that you love? Have a great day! The next stop on the hop is Kali Bertazzon. 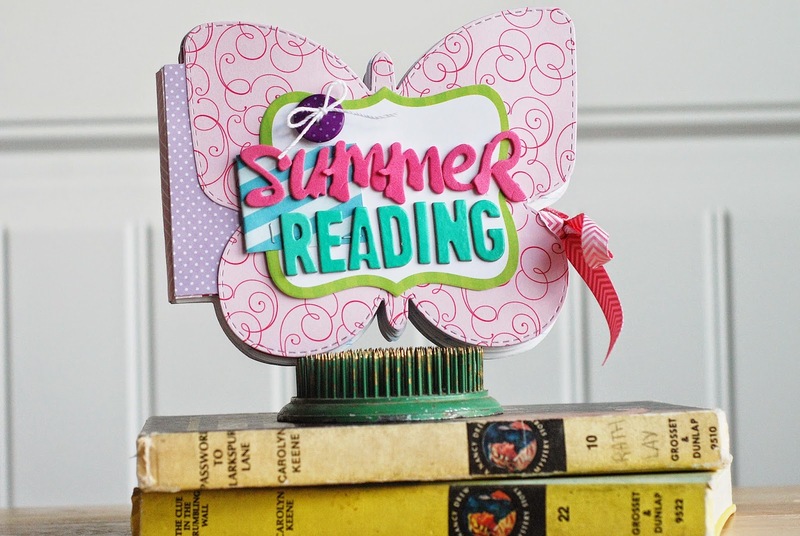 A few months ago I was asked to do a project for the Paper Crafter's Library. I had so much fun creating a display of projects for my home. Here's a sneak peek of what I created for them. I can't wait to show you the full project. Make sure you stop back by on Sunday for the full reveal. Happy Tuesday morning! Thanks for stopping by for another edition of Let's Talk Tuesday. 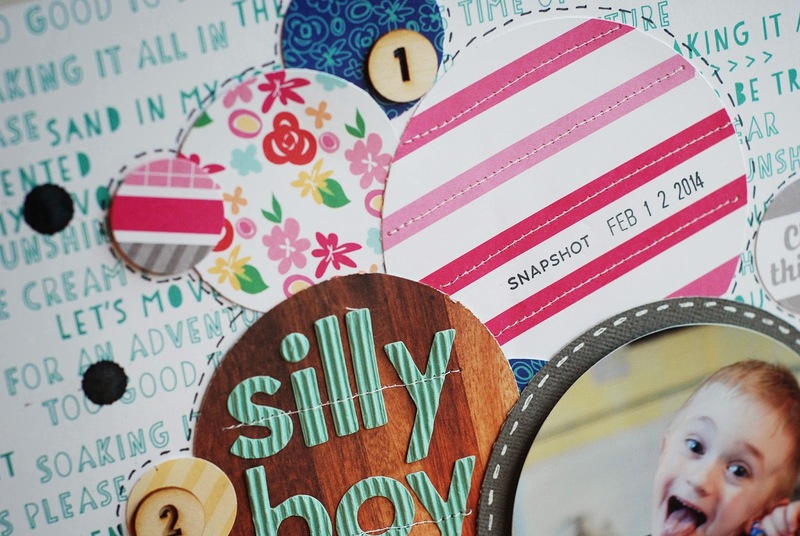 Today we're talking about washi tape. I don't know if I should be proud or ashamed of the amount of washi tape that is currently in my stash. 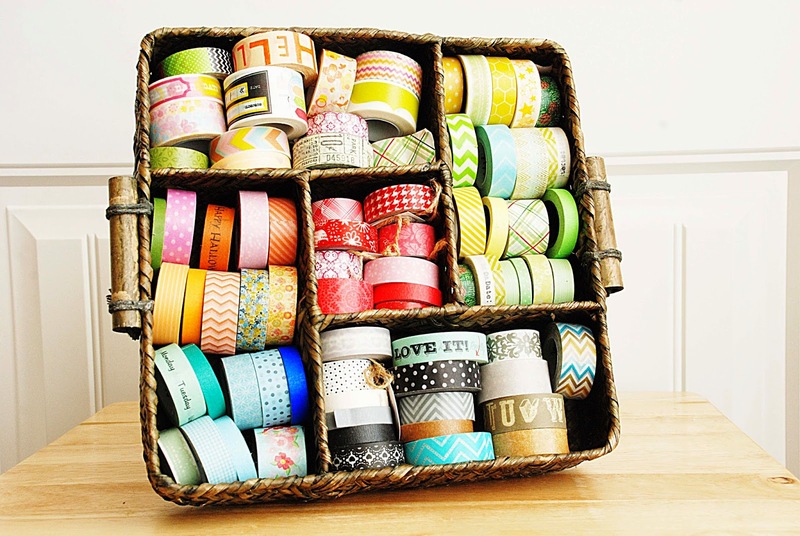 Let's just say that if I was to stop my collection of washi tape right now I would still never be able to use it all. 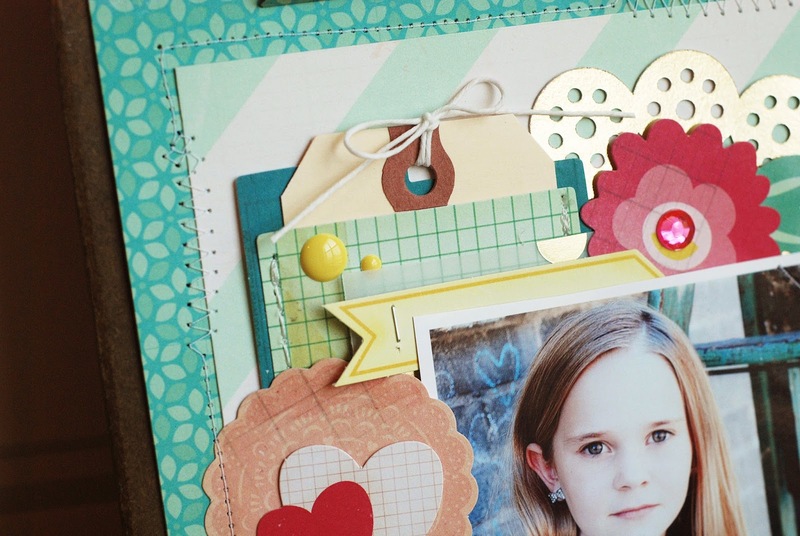 I created 2 new projects using washi tape to share with you today. 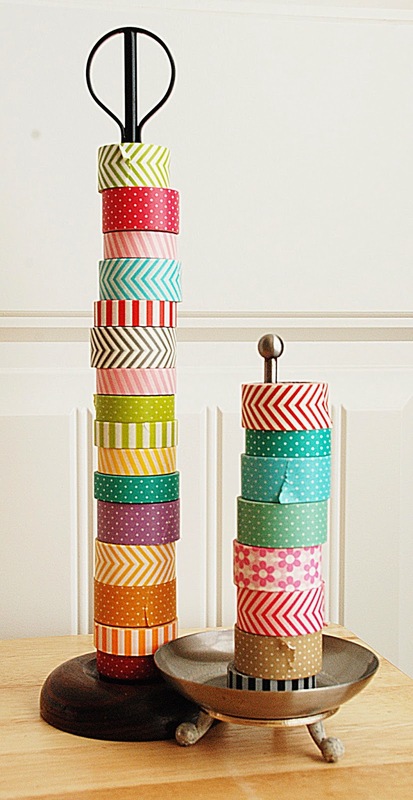 I had so much fun making a small dent in my washi tape stash. 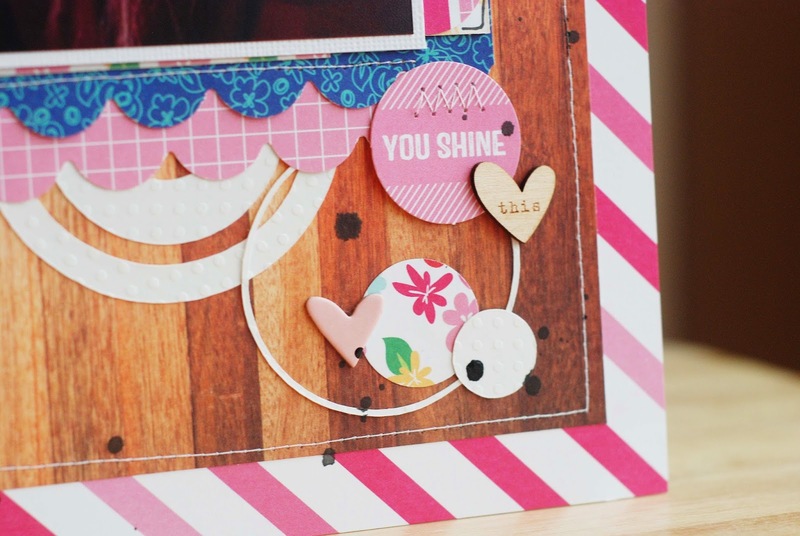 On this first project I created a background with washi tape. 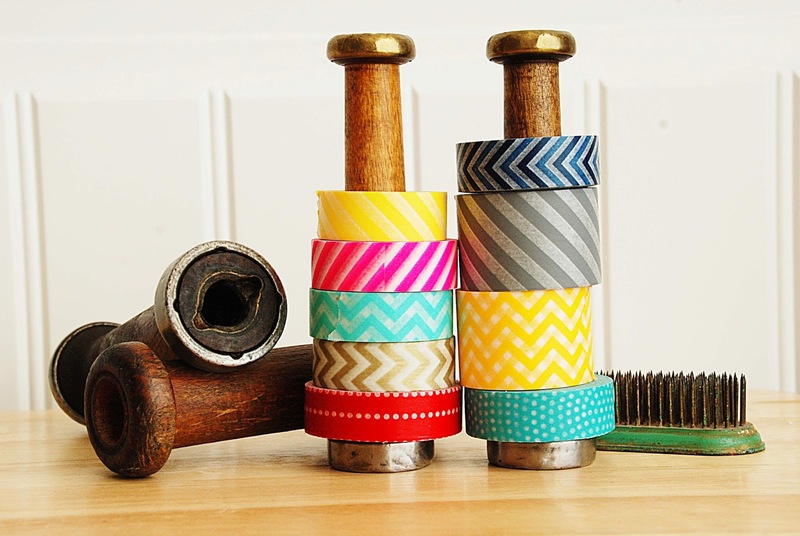 This is a great way to get lots of that tape use and get it on your projects. 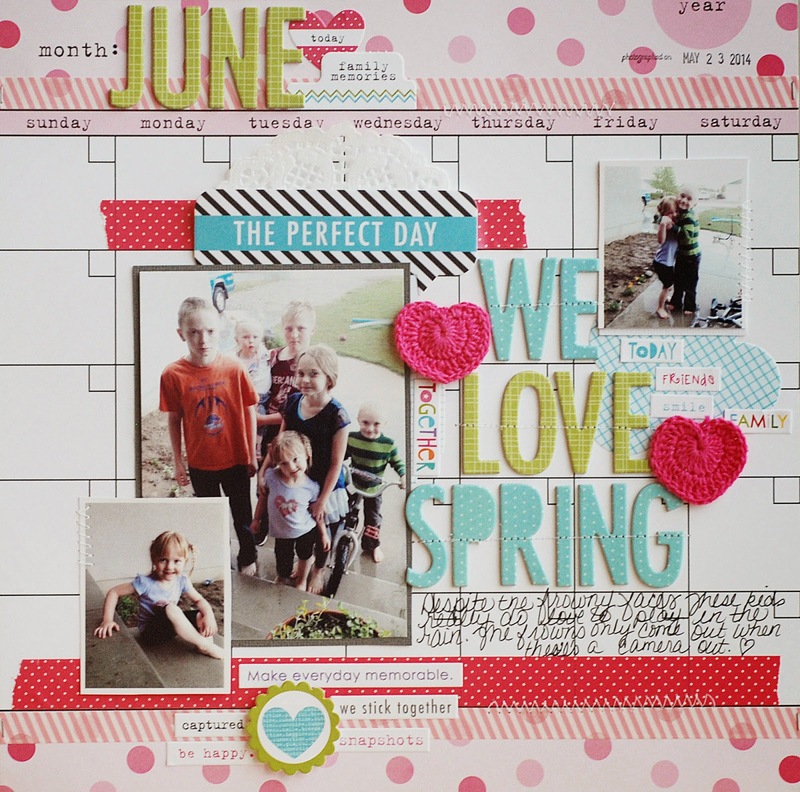 This layout is about grocery shopping and how it changes over the summer when there are 6 kids at my house. I included a copy of my grocery receipt on the back of my layout, just for fun. Maybe one day my kids will be shocked at the cost of groceries when they were little. 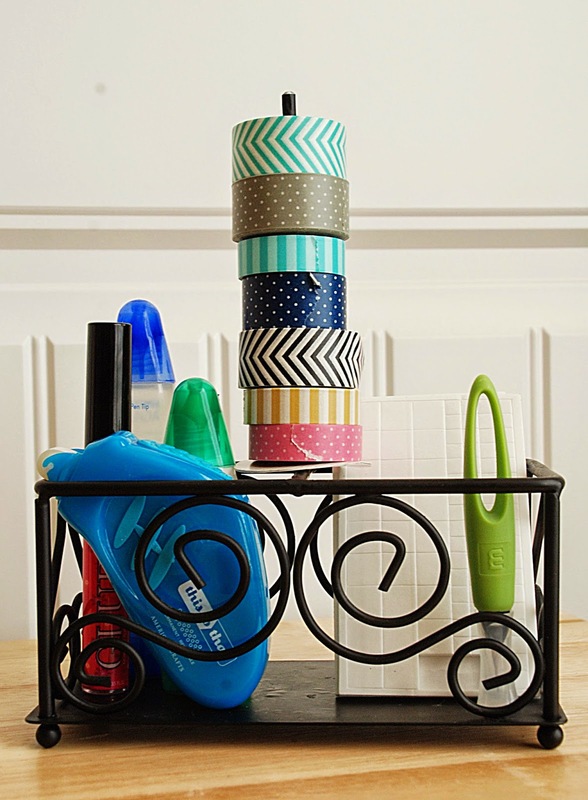 While we're talking about Washi tape let's talk a little bit about storing your washi tapes. Here are a couple of ways I store my tapes. My Bella tapes are stored on a few different things that I picked up at the thrift store. They sit on the corner of my desk. The one on the right is actually a jewlery holder that I disassembled and only use part of now. The one on the right used to be a toothbrush holder (once again, I took it apart). These are old wooden spools, not very practical storage but so cute! This piece was an oil and vinegar holder. 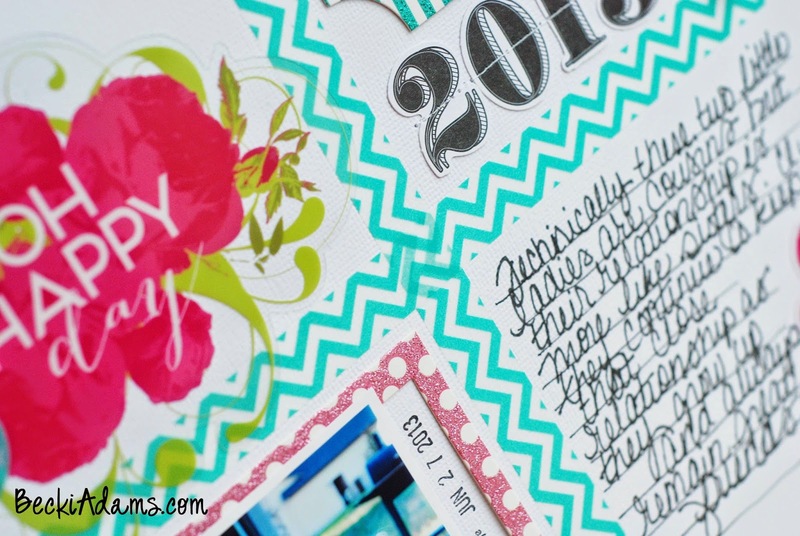 I love it because it holds a few of my most used adhesives all in one spot with a few of my favorite rolls of washi too. 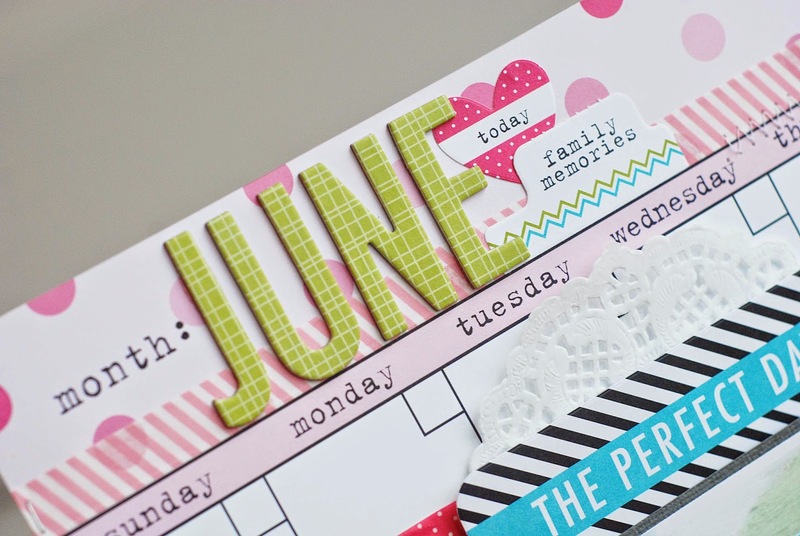 What is your favorite way to use Washi tape? How do you store it?